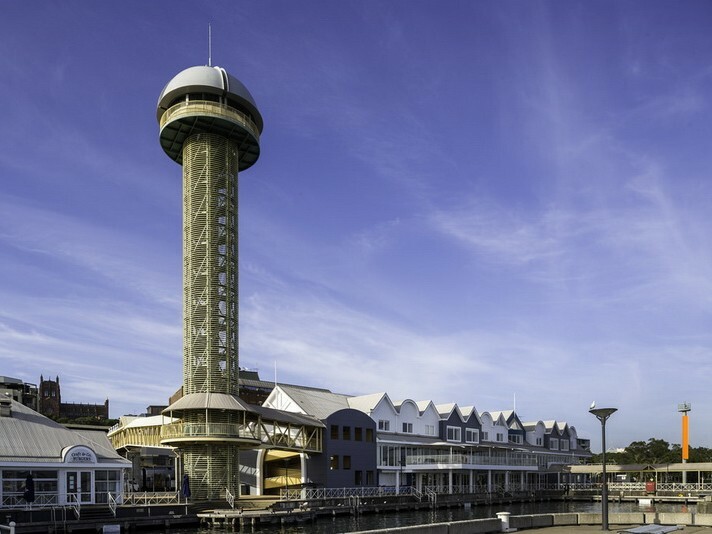 Last week, it was announced that Newcastle’s “phallic”-shaped Queens Wharf Tower would be demolished. Designed by architect Kevin Snell, the 40.3-metre-tall observation tower – part of a $13-million waterside redevelopment – was opened in 1988 by Queen Elizabeth II. Up a set of 180 steps, visitors are greeted by panoramic views of the city and harbour. According to the City of Newcastle, the tower is “no longer the star attraction it once was”. The council claims that it would cost approximately $1.6 million to maintain the attraction over the next four years, and have claimed that the tower is a “safety hazard” and “the subject of lewd jokes and negative reports”. Queens Wharf Tower’s architect himself told the Newcastle Herald that he was surprised the structure was still standing today. “It was only designed as a temporary structure, like an expo-type structure,” says Snell. He also explains that its suggestive shape was not intentional, telling the Newcastle Herald that “it was never in my thought process at all”. Queens Wharf Tower will remain open for six months before being demolished in late 2018 or early 2019. The council will be seeking the community’s feedback next year to determine how the open space could be best used.